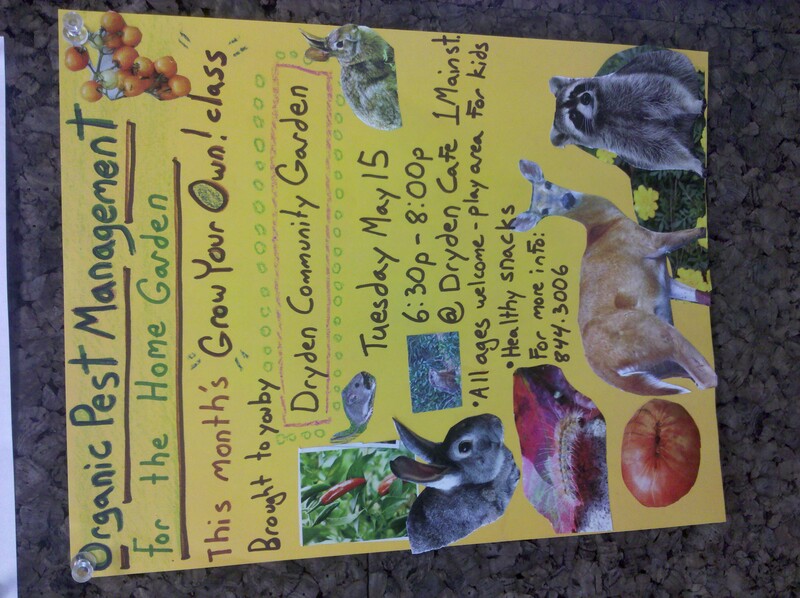 Tonight, at 6:30pm the Dryden Community Center Cafe, you can learn about Organic Pest Management for the Home Garden. The poster tells it much better than I can, and you can click on it if you want to see a larger version. 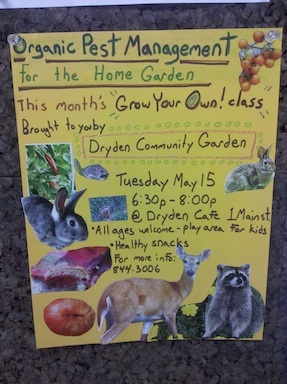 Organic pest control meeting, sign at Dryden Community Center Cafe. Looking for more to do? Check out Cathy Wakeman's Dryden Town Talk.